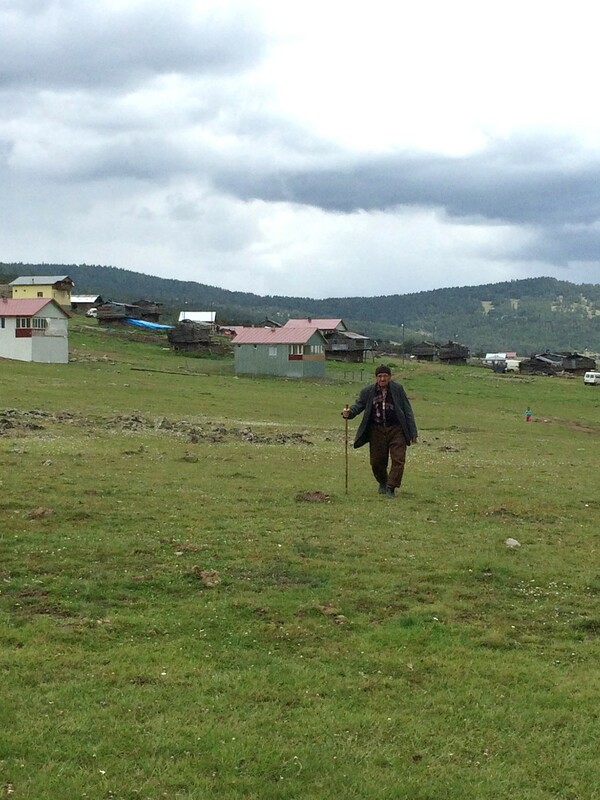 In Turkey, forest villagers constitute a significant proportion of the country’s poor and are viewed as an important resource for managing forests. Similarly, forests provide the villagers with an important source of direct employment and a supply of subsistence goods and services. Over the past 35 years, migration to urban areas has reduced the population of forest villages from 18 to 7 million—a level that forest authorities consider critically low to adequately manage upland ecosystems sustainably. Moreover, many of the migrants were of working age, leaving the work of properly managing the forests and pastures to the remaining population, which now consists of the old and very young. The declining rural populations and the changing demographics of the villages frequently lead to issues such as the overgrazing of livestock near settlements; increased use of fire for managing pastures, with increased risks of uncontrolled burning; ecological changes in the habitat area that may threaten endangered species; and a decline in important forest maintenance activities like tree thinning. This activity aims to inform forest policy through a survey of forest villagers on forest dependence, poverty, and migration in Turkey. The survey will seek to determine how forest villagers are dependent on forests, pastures, and forest services (such as non-timber forest products) for their income, subsistence, and wellbeing. In addition, the study will investigate whether forests represent a pathway out of poverty (or not), and some of the specific determinants of migration. Poverty rates are high and unequally distributed. The poverty rate in forest villages is approximately 80%, which is more than twice the average rural poverty rate in Turkey. And although a region’s overall poverty rate might be low, it could harbor high-poverty forest villages - an important consideration when designing targeted social protection programs. Poorer forest-village households appear to be held back by their high forest-dependency and lack of income diversification. Approximately a quarter of poor households receive income only from forests, compared to 2% of non-poor households. Relatively more prosperous households supplement forest income with income from livestock, agriculture, and pensions. Female participation rates in the labor force are highest among villages with high poverty, suggesting that many women engage in economic activities with low returns. Growing out-migration is most prevalent among forest-dependent households, which poses a threat to the current forest management model owing to its reliance on forest village labor supply. Although migration reduces the pressure on forests, the costs of insufficient forest management will be higher in the long run. A model that improves the sustainability of forest-use among villages and directs forest collection and services towards more profitable opportunities will ensure that both communities and forests will thrive. Poor households benefit disproportionately from access to productive assets and cash transfers (such as pensions and remittances). Policy simulations reveal that a combination of credit programs and basic income support is the most effective channel for overall poverty reductions and targeting the poor. With increasing out-migration to cities, women are becoming the main income earners in rural households. Findings from the surveys were incorporated into the accompanying Forest Policy Note, and informed Turkey's 5-year Strategic Plan on Forests (2017-2012). Specifically, the activity's findings are reflected in the Strategy's priority actions, and fed into a section on interventions that create and scale-up economics opportunities for forest villagers. A more long-term outcome of this activity is the availability of information for targeting social programs to the poorest households (e.g. households with fewer assets, households with less diversified income, members of forest cooperatives, etc.). For instance, future support to the forest villages should take into account the fact that, with incrasing out-migration to cities, women are becoming the main income-earners in rural households, which could impact the development of income opportunities through forest cooperative activities.